Fifty years ago President Lyndon Baines Johnson signed the Appalachian Regional Development Act (ARDA) into law. ARDA marked the first attempt by a governmental entity to comprehensively improve the environment in which the people lived in Appalachia. 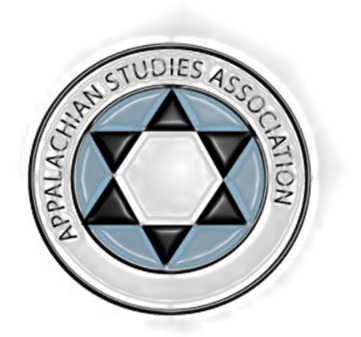 This session will explore the role that regionalism played in shaping economic, social, and educational policies in Appalachia from the early twentieth century through the War on Poverty period. In addition to regionalism, papers will examine the place that grass-roots participation was meant to have in determining the direction of development in the region. The first presentation will examine John C. Campbell’s definition of “regionalism”, which was formed in his work, first as a missionary and then as director of the Appalachian Department for the Russell Sage Foundation, and then how he applied his concept through the Conference of Southern Mountains. The second will look at John D. Whisman’s use of regionalism to define a dedicated program created by Congress to address impoverished conditions in Appalachia and was meant to be implemented through a process that started from sub-regional Area Development Districts. The third and final presentation will focus on how one sub-regional agency in Eastern Kentucky prevented low-income people from participating effectively in their Community Action Program. John D. Whisman is considered one of the founding creators of the Appalachian Regional Commission, a federal-state partnership, created in 1965, as a way to tap greater resources for the comprehensive development of the Appalachian region. The goal was to give Appalachians the opportunities to participate fully in the same prosperity that the majority of Americans were enjoying in the 1950s and 1960s. This paper will examine how Whisman used regionalism, like Campbell, and his political skills to shape his strategy that was encompassed in the ARC. Glen Taul is Reference Librarian, Campbellsville University, Campbellsville, Kentucky. He holds a Ph.D. in American history from the University of Kentucky. His research includes 20th century Appalachian history, Kentucky antebellum politics, and family history. His current research projects include completing a biography of John D. Whisman and editing the Memoir of Micah Taul (1785-1850). He contributed articles to the Encyclopedia of Appalachia and made presentations at ASCs on Jesse Stuart and the Appalachian Regional Commission. In his classic 1978 book, Appalachia on Our Mind, Henry Shapiro credits John C. Campbell with a major role in the invention of Appalachia. This paper examines the definition of regionalism that was most clearly articulated by Campbell’s 1921 monograph, The Southern Highlander and His Homeland (most of which was written by John’s widow, Olive Dame Campbell, after his death). I will also trace the evolution of their concept of regionalism from the early years when John C. Campbell was a missionary, through affiliation with the Russell Sage Foundation, and culminating in the efforts of the Conference of Southern Mountain Workers. Penny Messinger is Associate Professor of History, Daemen College, Amherst, New York. She holds a doctorate in history from Ohio State University. She teaches classes in American history, women’s history, and women’s studies. Her academic research includes 20th century Appalachian history and the creation of Appalachian identity. Her current research project explores the missionary presence in the Appalachian South. She had made several presentations at ASC on John C. and Olive Dame Campbell.